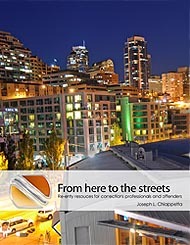 From Here to the Streets is a premier resource, designed for corrections personnel, peer-to-peer educators, people reentering and reconnecting with the community, their families and friends. The site provides access to vital information, tools, and resources to ensure that they have the best chance for success with prerelease, reentry, employment, and other transitional related programs. Our site is the result of ten years of active research and hands on experience teaching, creating programs, and mentoring offenders within the Arizona Department of Corrections. This work also represents hard work from ADOC staff, peer-to-peer educators, teachers, and inmate facilitators who have truly made a difference despite the sometimes restrictive nature of teaching within a secured facility. From Here to the Streets is the official resource website for Peer Educators in the Arizona Department of Corrections peer-to-peer education program.